And how right he was. 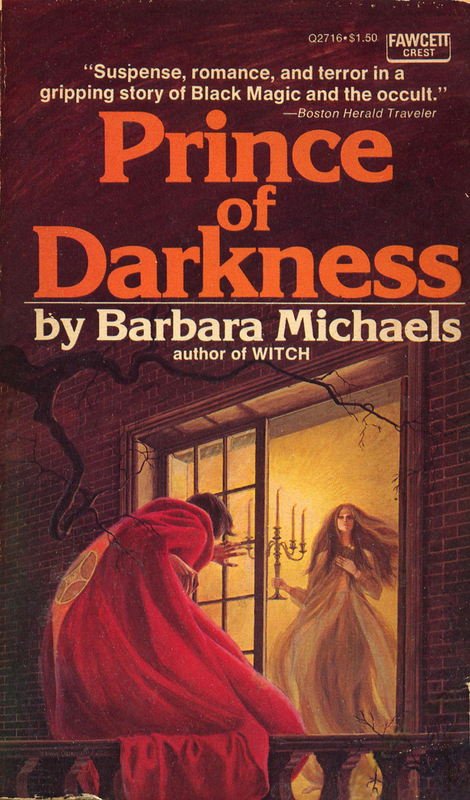 First published in 1969, Prince of Darkness came out as America’s love affair with the Occult reached its zenith, fueled in part by the runaway success of Ira Levin’s novel and Roman Polanski’s brilliant film adaptation of Rosemary’s Baby, as well as a burgeoning use of Tarot cards and renewed interest in Astrology, and ultimately, dabbling in magic, both white and black. I admit I have a weakness for these kind of books, what I call quasi-satanic hooey, for as much as Michaels tries to lend authenticity to her tale of witchcraft in the idyllic countryside surrounding suburban Washington D.C. by name dropping Margaret Murray’s pioneering witch-cult theory, she still manages to confuse black magic with white. For someone with my tastes, it makes the cheese factor all the more delectable. Thanks to Michaels' consummate storytelling skills, Prince of Darkness never veers into the downright silliness of something like Fred Mustard Stewarts’s The Mephisto Waltz or Peter Lorraine’s nearly incomprehensible plot of Day of the Arrow. 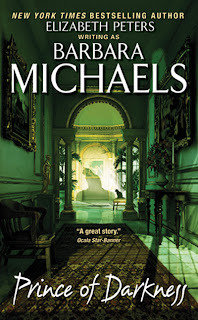 I’d be curious to learn if Michaels one and only novel of contemporary witchcraft was her own idea or the suggestion of an agent who, like everyone else in the entertainment industry, saw dollar signs when the devil reared his horned head. As in Ammie, Come Home, Michaels once again attempts to subvert the Gothic Romance genre, this time making the shady male lead into the vulnerable hero. Part of my perennial fascination with Prince of Darkness is its deliberately oblique plot. The opening prologue reads like a set-up for a low key spy novel, and then more than half the book follows our hero’s antics as he stages some elaborate apparitions and hauntings in an attempt to drive the already fragile minded heroine further insane. What our hero doesn’t count on is his efforts being trumped every step of the way by any number of nefarious characters ambling about quaint Middleburg, Maryland. He also doesn’t count on falling in love with the heroine herself (especially as he has already been panting like a dog in heat after the heroine’s little honey of a niece.) But male readers shouldn’t be put off by this mild romantic diversion. 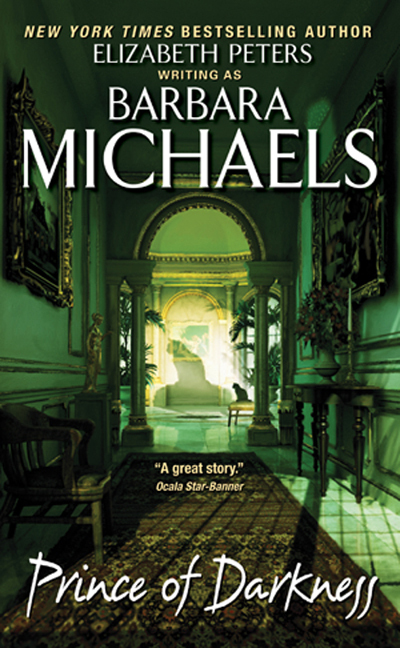 As in many of Barbara Michaels’ books the romance takes a back seat to the suspense, the ghosts, the chills and thrills, and in this case, the unmasking of a certain character during the book’s climax which finally makes sense of the novel’s overly long set up. 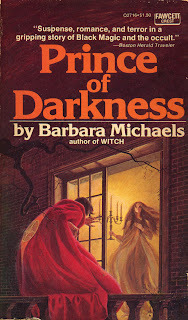 Prince of Darkness is not regarded as a favorite even among the most die-hard Barbara Michaels fans, but it manages to be, like so many other fictional forays into the occult during the final days of the 1960s prior to William Peter Blatty unleashing The Exorcist on an unsuspecting world, a fascinating time capsule of a specific time and attitude in America. Harry Bennett's voyeuristic cover for the 1970 Fawcett Crest paperback edition. 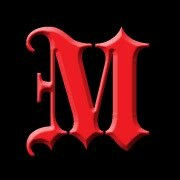 Great post, PRINCE OF DARKNESS sounds pretty effing cool in that vintage-y way I do so love! Never read any of those Gothic romances though. Will, if you're not familiar with the genre, the one to read would be Du Maurier's Rebecca, especially since you are a fan of her short stories already. Most of the 1960s Gothics are pretty much rehashes of Rebecca and Jane Eyre anyway, and as an adult I am finding they are not filled with nearly enough blood and thunder as they need to be. But yeah, POD does have that vintage satanic hooey naivete which gives books like this their charm.